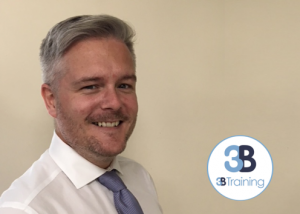 In 2019, 3B Training expanded our centres further and set up a new centre in Derby. The venue provides excellent facilities and a comfortable atmosphere to make it an excellent training centre. Our Centre Coordinator, Peter Mercer, is based at the centre. Peter is always willing to share his knowledge in order to point you in the right direction. The centre is just 3 minutes away from Pride Park Stadium. From Pride Park head southbound down Royal Lane towards Wilmorton. Continue down the A6 then take the 2nd exit onto Pride Parkway then take the 2nd exit on the next roundabout onto Ascot Drive. Turn left and the centre will be on your left. For those who are travelling into Derby, there are three train stations just a five-minute taxi journey away. Depending on where you are travelling from you can reach the centre via Derby Midland Station, Peartree Station or Spondon Station. We will be providing a range of Site Safety Plus Accredited Courses, First Aid Courses, IOSH Managing Safely, NEBOSH General Certificate, NEBOSH Construction Certificate and short courses at Store First Derby. 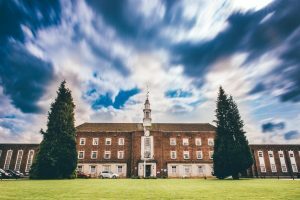 To view, our upcoming dates in our Derby venue visit our book a course page.